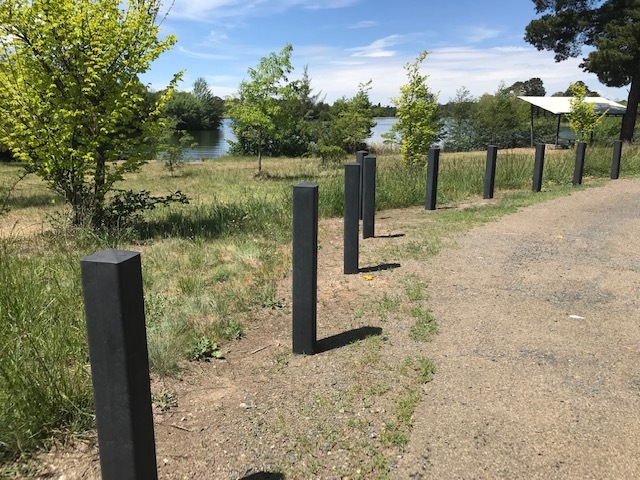 A short 15 minute drive from the CBD, Molonglo Gorge Recreation Area is a quiet place to have a picnic, for the kids to play at the park, and a 6km walk along the Molonglo River. With over 15 million years of history, it was important for the Canberra Region to implement products that are durable, long lasting, and easy to maintain. 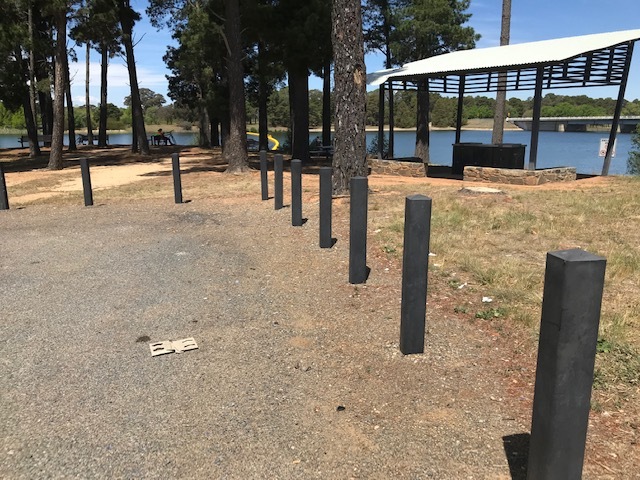 Along the boundary of the reserve are numerous recycled plastic black 125 mm bollards from Replas. 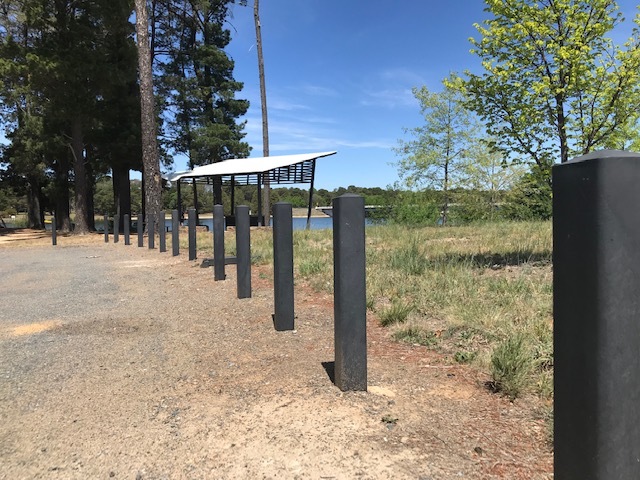 The robust 125 mm bollard is made up of a recycled plastic profile with a pyramid-shaped top, an ideal solution wherever rigid barriers are required to define boundaries or deter vehicles and pedestrians, as in this case at Molonglo Gorge. For ease of handling, the 125 mm bollard is hollow to reduce it’s weight. And as in all recycled plastic products from Replas, there is no rotting, cracking or splitting like the alternative, timber. Molonglo Gorge Recreation Area now has reliable products that will be part of Kowan Pine Forest in Queanbeyan, NSW for many years to come!